Helping women establish and maintain sober and healthy lives. 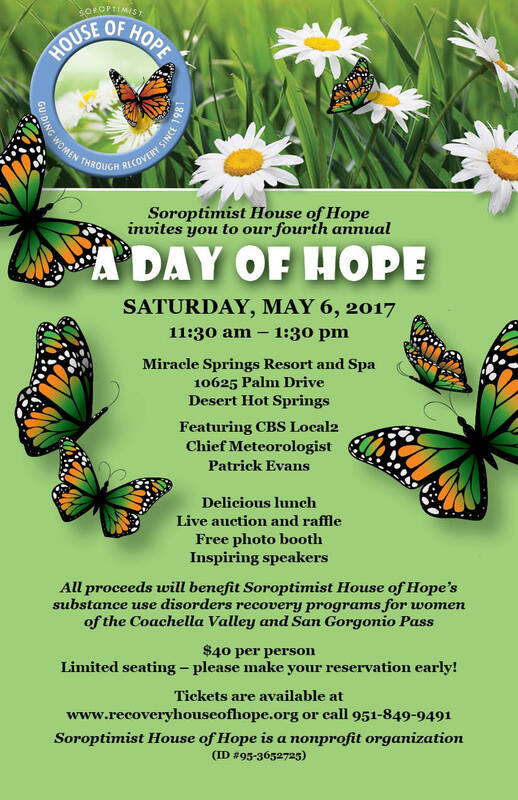 Soroptimist House of Hope (SHOH) is a nonprofit organization founded in 1981 to provide recovery programs to women with substance abuse disorders. These women were in need of housing and support to establish clean and sober lifestyles, re-establish their lives, and become productive members of society. 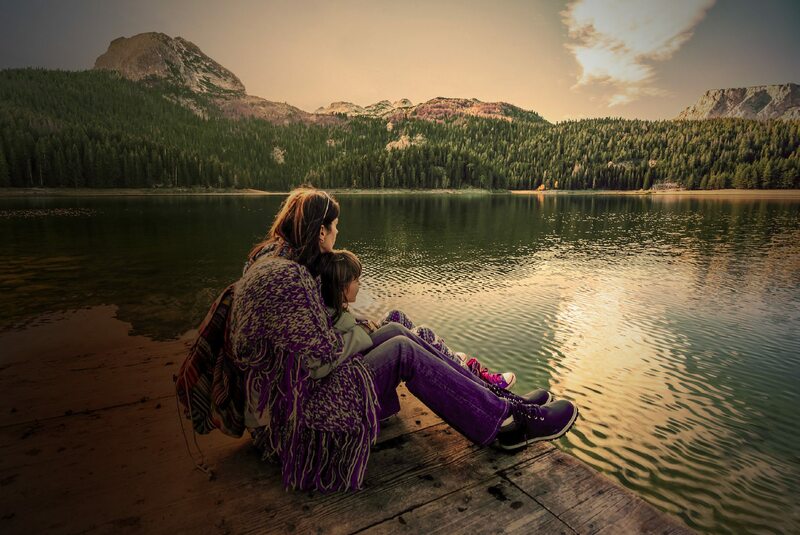 We provide residential substance abuse recovery programs for women at our Desert Hot Springs, California Recovery Facility and our Banning, California Transitional Living Home. Since 1981, SHOH has helped thousands of women through a comprehensive and effective social model program offering housing, companionship and guidance, therapeutic activities, and a structured daily routine that enables them to establish and maintain sober and healthy lives. SHOH was established in 1981. Over the last 30+ years we have helped over 3,000 women begin a journey in recovery and go on to live clean and sober productive lifestyles. 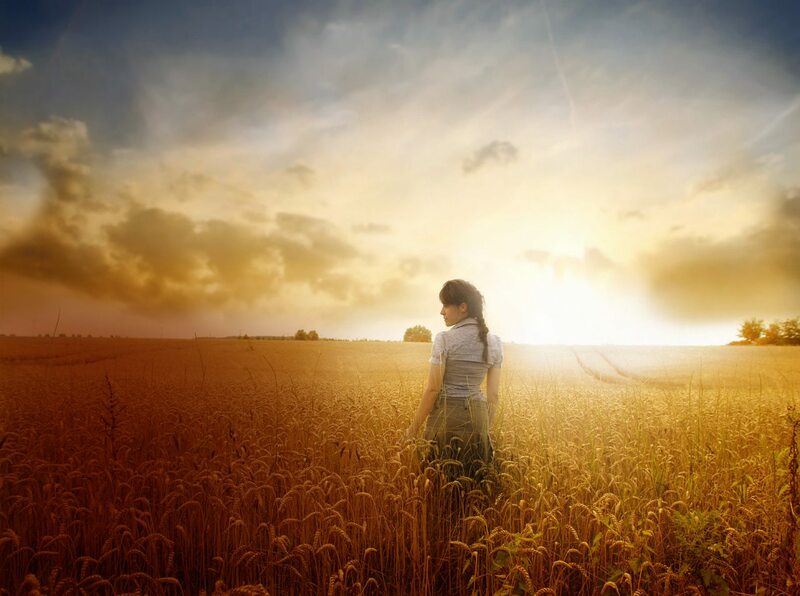 Hope’s Horizons was created to give the women coming out of our treatment program a place to go to further build their foundation of recovery from substance use disorders. “I want to say that I appreciate all that you do for me. I was taught a new way to live without the use of drugs. I have tools to keep my recovery”.